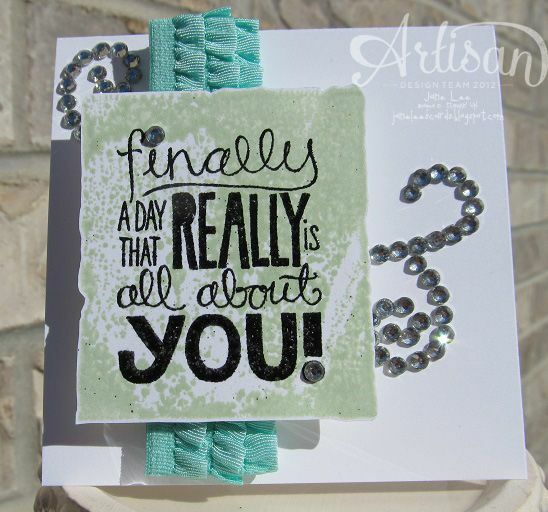 Welcome to the June edition of the Wednesday Artisan Blog Hop! Check back every Wednesday to see new projects that 10 Stampin' Up! Artisan's have created. Did you just come from Heidi's blog? I love her AND her projects! Everything she creates inspires me. Fo' realz! To get the grungy square background, just stamp your clear block in ink and then place it on paper. Cool effect, eh? To create cool swirly rhinestone designs, just use the small rhinestones that are all stuck together and bend them how you like. COOL! 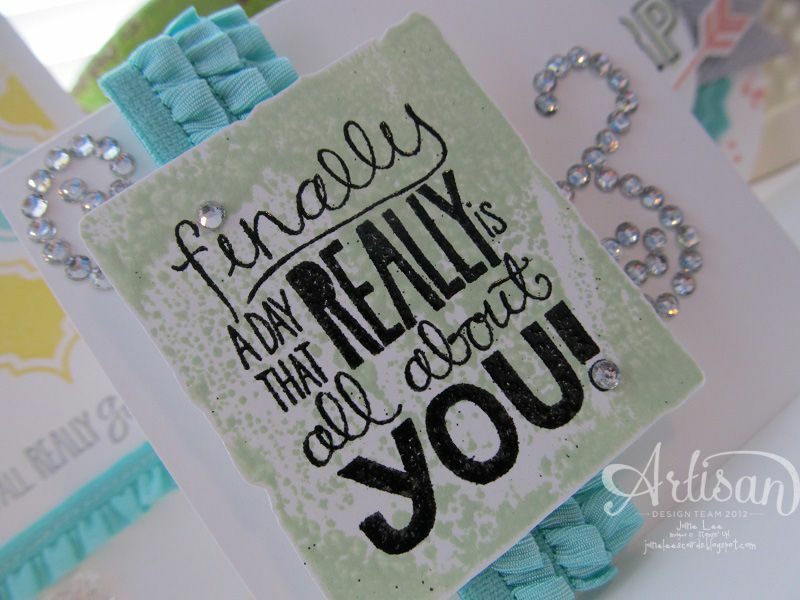 Speaking of clever...love the stamp block background and the swirled gems! Great style. Super BLING!! Are ya KIDDIN' me??? I <3 this on so many levels!! Awesome! Very nice card...part guy and definitely part gal...love the ribbon and bling! And the touch of grunge...TFS!